Each bolus of FensafeTM-I contains Fenbendazole 3000 mg &Ivermectin 100 mg.
FensafeTM-I is indicated for all kinds of Endo &Ecto Parasites. 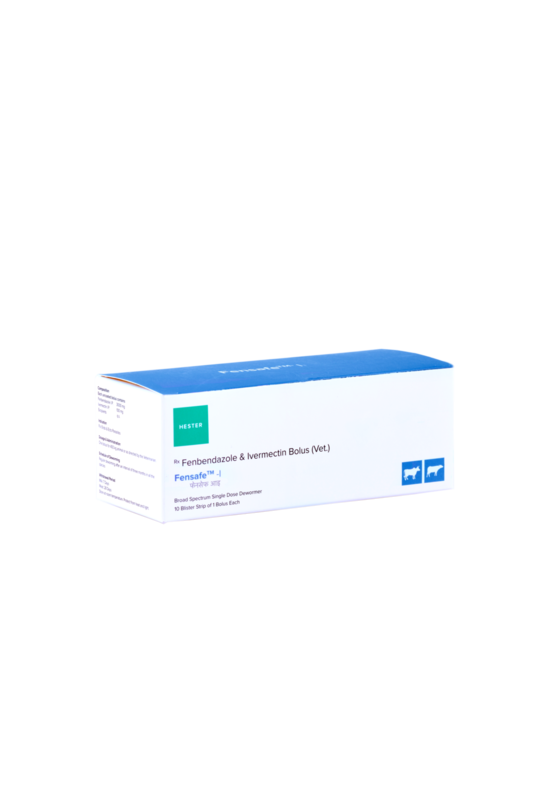 FensafeTM-I is a broad spectrum anthelmintic. FensafeTM-I should be given orally – One bolus for 400 kg animal. FensafeTMTM-I is available as single bolus pack. Store in cool and dry place, away from direct sunlight.